Berlin is a progressive city that nurtures the soul of the curious and fulfills one’s appetite for beautifully designed objects and architecture. Berlin is one of Europe’s epicenters where history, modern culture, art and an edgy underground scene converge. The locals desire a deep connection with their lifestyle placing much emphasis on living well, enjoying food, experiencing entertainment and wellness, resulting in an excitement to express their visual voice through a beauty routine. Like food, art, culture, and music, beauty fits within the universe of a carefully curated lifestyle. Berlin is affordable while still offering so much to discover—it’s gritty and artistic while boasting some incredibly beautiful retail spaces. This city creates an insatiable desire for the creative, lending itself as the perfect backdrop for our debut Indie Beauty Expo Berlin event March 22-23. 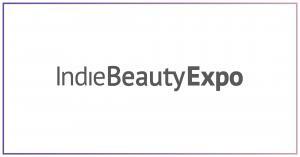 The brands at IBE Berlin will not only excite esthetically, but many are mission driven, sustainable, conscious and contribute to the movement of disrupting the beauty industry. These four standouts prove being clean or sustainable doesn’t have to equal boring, unappealing packaging. To see the products, click here.